Whether you’re a sporting clays enthusiast, an avid hunter or your idea of hunting involves the Duck or Big Game Hunts on your children’s Wii or PlayStation consider participating in the 8th Annual Lions Pride Shoot Sporting Clays Fundraiser on June 13th at Milford Hills Hunt Club in Johnson Creek. 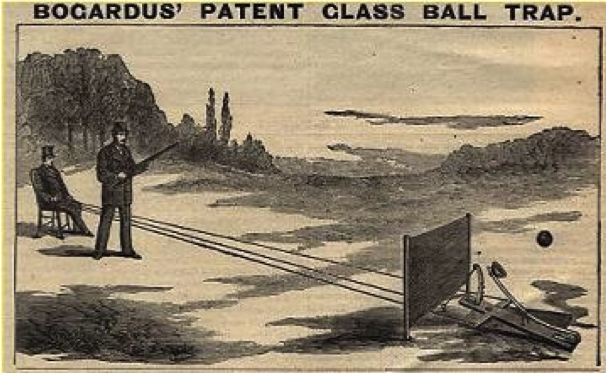 Sporting Clays is a sport that simulates actual hunting situations in the field. 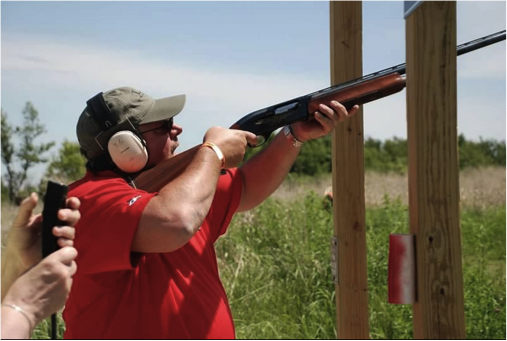 People of all ages enjoy the sport; more than 3 million people a year shoot sporting clays either competitively or recreationally, it is one of the fastest growing sports in America. It is a fun and challenging, instant-result sport that brings out the competitive spirit while providing the opportunity for enjoyable conversation and fellowship. 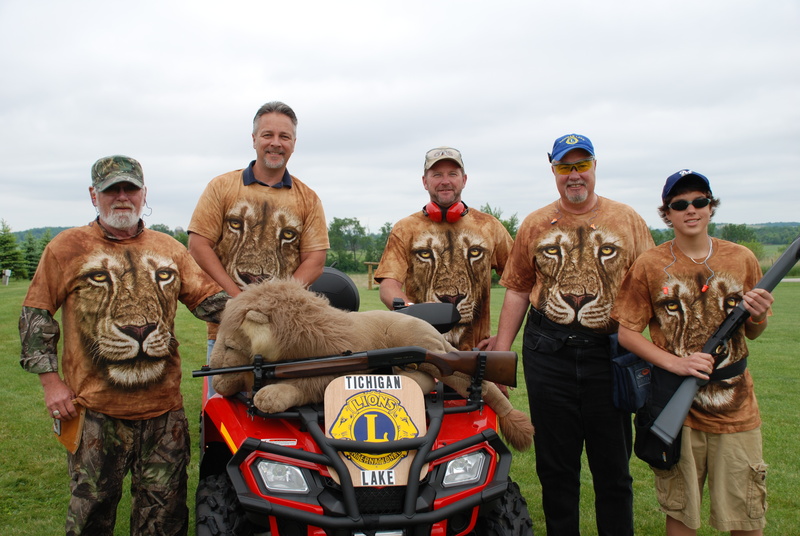 Last year’s shooters included Lions and non-Lions of all ages and abilities including shooters who made it a family affair including their sons and in one case a grandson as part of their shooting team. A hunter safety permit is required for shooter under 18. See photos from previous shoots by clicking here. The Lions Pride Shoot continues to be an exciting outdoor adventure amidst the rolling hills and deep ravines of Southeastern Wisconsin; for your club members, fellow enthusiasts and friends. Register yourself, a few friends or even a full team of 5 for this event which includes lunch, raffles, dinner and a live auction. Don’t shoot? Don’t let that stop you from joining the event! Each year we have a few folks who don’t shoot, but join us for lunch, dinner and participate in the raffles and auctions. Some choose to walk the “course” to watch the activities and enjoy the beautiful scenery. To sign up or for more information email us or call the Lions Pride Office at 715-677-7000, or visit us on-line at www.lionspride.org/events. Sponsorships ~ are a great way to promote your business, a Club event or fundraiser. Multiple sponsorship opportunities are available. Auction, Raffle & Door Prize Items ~ an important part of any fundraiser, all donations are appreciated. Volunteers ~ no experience is necessary all volunteers are provided lunch and dinner too! Shooters ~ from novice to experts all have a chance at winning part of our $3,000 Lewis Class prize money. Whether you’re an avid hunter or your idea of shooting involves the Duck or Big Game Hunts on your children’s Wii or PlayStation consider participating in the 7th Annual Lions Pride Shoot at Milford Hills Hunt Club in Johnson Creek. Don’t shoot? Each year we have folks who do not shoot, but choose to volunteer or join us for lunch, dinner and participate in the raffles and auctions. Many choose to walk the “course” to watch the activities and enjoy the beautiful scenery. To sign up or for more information contact the Lions Pride Office at 715-677-7000 or Click Here.